Our goal is to provide quality service that exceeds the customer’s expectation at a competitive price, with quick turnaround time, friendly personnel and customer appreciation. 2023 #B E. Main St.
Snappy Dry Cleaner is a full service team of garment care professionals. Trained and certified by Drycleaning & Laundry Institute with 16+ years experience, we are prepared and equipped to clean and finish your finest silks, woolens, and delicate garments. We specialize in bridal gown cleaning, preservation and storage. 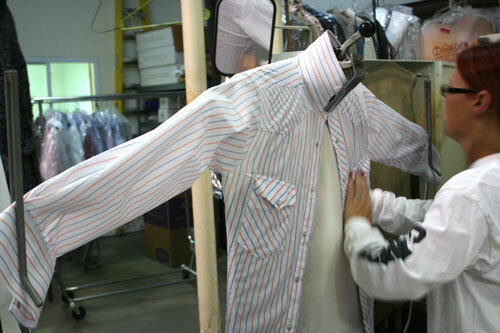 We provide down comforter cleaning, vintage and couture clothing care. You can entrust your valued wardrobe to our gentle and effective cleaning system. We wash, dry and fold your every day laundry. Pick up your crisp, clean, pressed and starched pants & shirts. Knowing the details of the various fabrics and weaves, and knowing the nature of the various stains and soils affords us greater success in restoring your valued garment to it’s original beauty. Quality is not what we do, it’s who we are. © 2018 Snappy Dry Cleaner & Laundry. All Rights Reserved.